In April, our Teen Book Club genre will be Local Authors. 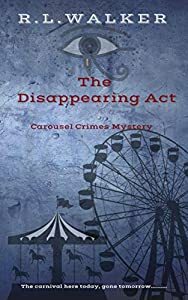 The book we will be discussing is The Disappearing Act by R.L. Walker. For our activity we will meet the author! She will tell us what inspired her to write the book and answer any questions you have!